Your notebook case is soo cute!! Your notebook is gorgeous! I like your blog! 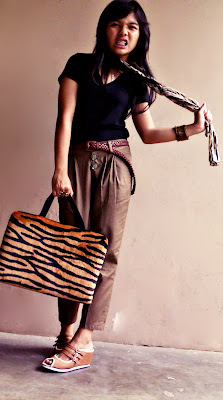 hi there.. nice stuff you have..
am following your blog, hopely you would follback my blog..
Love your laptop bag..it so chic! You can use it as bag. Hi beauty! Thanks for ur comment! Your notebook case is adorable. I love your outfit! You look cute! 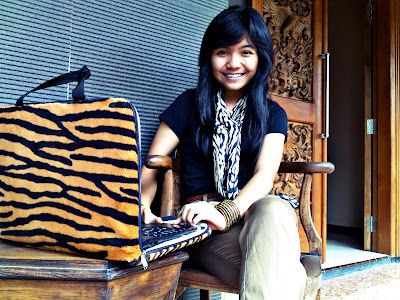 thanks for your comment and I love love love your laptop case !!! Aww. Ur so adorable. I love ur wedges. Great outfit!! The pants look super comfy! SUPER lovely leopard print case!! Your wedges is so cool, look so comfy. Where you bought it ? i follow you miss gadis manis..
That notebook case is really cool. Yes it is me who make my drawings! I love your notebook case! Animal print are really nice! thanks sweetie! and you look beautiful here as usual! thank you darling! I like your style! kisses! !